Single block I/Os are usually the result of using indexes. Rarely, full table scan calls could get truncated to a single block call due to extent boundaries, or buffers already present in the buffer cache. These waits would also show up as 'db file sequential read'. A sequential read is usually a single-block read, although it is possible to see sequential reads for more than one block (See P3). This wait may also be seen for reads from datafile headers (P2=1 indicates a file header read) . 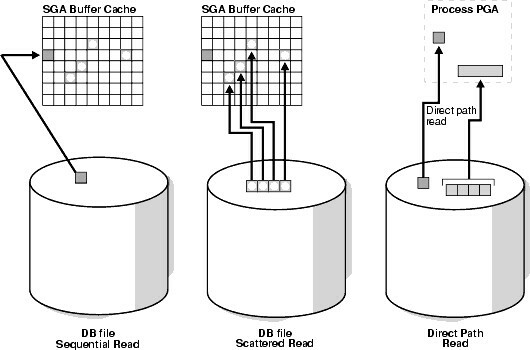 Investigate V$SQLAREA to see whether there are SQL statements performing many disk reads. Cross-check I/O system and V$FILESTAT for poor read time.